Please note that this is not any form of official guide sponsored by Tangiers. Rather, it is a guide that I have created based off of my own personal experience to help others with smoking the great product that is Tangiers. Credit to Eric of Tangiers for the information on humidity resistance and the 4/20 acclimation method (and for giving us some of the best hookah products available on the market). Credit to all the members of Hookah Forum before me who helped me gain this knowledge so that I am able to pass it on. Please understand that the techniques mentioned here work for some and not for others. Try it all and determine what works best for you. -Line differences: Noir is the original line of Tangiers, packing a heavier buzz with tobacco undertones to the flavors. Lucid (now discontinued) has less of a buzz, with tobacco undertones removed. Birquq is a "medium" between Noir and Lucid, with more buzz like Noir, but more vivid flavors like Lucid (no tobacco undertones). F-Line is like Noir, but caffeinated. Burley is made with burley tobacco, which packs even more of a buzz than Noir but has awesome, robust flavors (no tobacco undertones). Generally, Noir is harder to get right in the way of making sure it is packed correctly and heat management, so I always recommend starting with Birquq (or Lucid if you can still find it), as they are easier to manage and typically do not have acclimation issues. Burley also seems to be very forgiving with heat and acclimation, so feel free to start with it as well, if you think you can handle the buzz. -You will want to smoke Tangiers out of a Tangiers phunnel bowl. This prevents the juices from leaking down the stem, as it is a very wet tobacco brand. -If you do not have a phunnel bowl, you can smoke it out of a standard bowl. To do that, pack the tobacco tightly around the sides, and then fluffy in the middle. Or "fake" a phunnel, by packing around your thumb, leaving an empty space in the middle. -Use three or four halves, depending on the size of your phunnel bowl and how sensitive the line/flavor is to heat (yes, some flavors even within the same line will be more heat sensitive). Remove a half if smoke gets harsh. -Also, you can "stonehenge" your coals, meaning stand them up on their smallest side, so that less of the coal is in contact with the bowl's surface area. Just keep in mind that the coals are more prone to falling over in this position! This method mimics cutting your coals into halves, in my experience. This method should work fine for all of the lines, more or less. Lucid and Burley, in my experience, are generally the most heat tolerant, whereas Birquq and Noir are more sensitive. You just have to experiment and determine what works best. Remember, starting with less heat from the beginning and slowly adding heat will always give you better results. If you get thunder clouds within minutes of putting on the coals, you're going to end up with a burned bowl and nasty flavor pretty quickly. 1. Try the "instant acclimation" method (thanks to Coyote for introducing it to us here on HookahForum). All you do is massage the package of Tangiers before opening it. Just a few maybe 5 minutes will do. Squish it until your hands get tired! Many folks have reported success since the discovery of this method, and I personally have not had a single package of tobacco not smell right when I open it since I started using this method. No matter what flavor in what line, I now always use the instant acclimation method. Why? Because I feel like it couldn't hurt. 2. 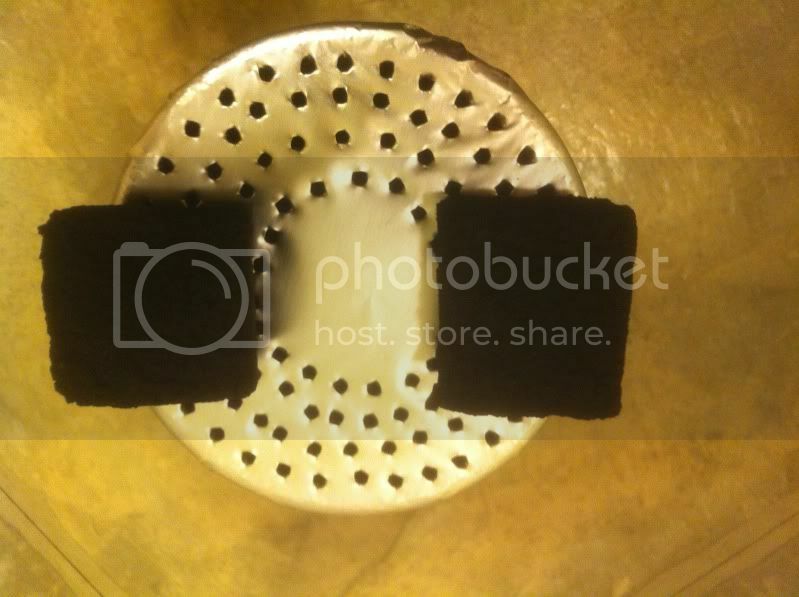 After opening, put the shitbrick of Tangiers into a wide, shallow, rectangular tupperware container. Break up the brick thoroughly and level out the tobacco. 3. How does it smell? If it smells like the flavor it should be, then you're most likely good to go. Does it smell like soy sauce or BBQ sauce? It needs to be acclimated then. For acclimation, use the 4/20 method, as this decreases the time the tobacco is open to the air, which can lead to flavor loss. Stir the tobacco in the container, then let it sit for four hours open to the air. Stir every hour or so. Then seal it up for 20 hours. Repeat until it smells right. If it just never smells right after trying this many times, then seal it up and wait a month or two until your weather changes. For me in Tennessee, Noir sometimes doesn't like to work during spring and fall, when we see drastic weather changes day to day. But once the weather stabilizes, for the summer or winter, I'm usually good to go. All places are different, so please take that into account. If all else fails, you may always contact Eric for further advice. 4. Time to pack! If it smells right, of course. A legit Tangiers small phunnel is best for beginners. Other bowls will work, but it complicates the whole thing. So my recommendation is get an actual Tangiers phunnel. What you want to do is pack the tobacco TIGHT, as tight as it comes in the package in its brick form. Don't leave gaps or loose spots in the bowl. Be sure the edges are very dense. I like to press it down with my palm instead of Eric's "foil test," so that way I get a good feel of how tight it is. I like mine just a tad and I mean JUST A TAD below the outer rim of the bowl. The tobacco rises just a bit, mainly because the juices are boiling, so you want to compensate for this. Just have to make sure you don't underpack it. That is the common mistake when packing Tangiers. When in doubt, add more tobacco. Either way, it WILL end up touching the foil in your session. It's just a matter of how much it touches (in my opinion, anyway). Use the palm press method or the foil test method. Or you can look at it this way- make the tobacco flush and level to the edge of the inner spire, so that it is slightly below the outer ridge of the phunnel bowl. This is for legit Tangiers phunnels, as the Chinese knockoffs commonly have inner spires that are too high. For a standard mod or Egyptian bowl, you pack the tobacco really tight on the sides and then fluffy in the middle. But I strongly advise a legit Tangiers phunnel. 5. Heat. Try to use a low heat coal, as Tangiers is a low-heat tobacco. I recommend Golden Canaries, Fumaris, Cocomazayas, Coconaras, and Razans. Golden Canaries and Fumaris are low heat Japanese coals. Perfect for Tangiers. Cocomazayas are coconut cubes that are a bit smaller than most coconut coals that are square or more rectangular. This means smaller "footprint" on the bowl, which means less heat. Other coconut coals, such as Coconaras and Razans, work great as well, but you just have to be mindful of their higher heat. Again, less surface area in contact with coal = less heat. Either way, start the coals out on the edge. You can then move them in slightly as they die down in size. GCs and Fumaris are a little different. I just have them right at the edge, and 15 minutes or so into the session I add new unlit coals on top of the already-lit ones. Within about 5-10 minutes, the new coals will be lit. This process is repeated throughout the rest of the session. Note: This method, called "piggybacking," will NOT work with coconut coals, so Cocomazayas, Coconaras, Razans, etc. Another tip is to cut your coconut coals into halves. You may use a hammer and knife, first scoring the coal then placing the knife in the score mark and hitting it with the hammer. Or you can pick up a tool like a Crafstman Handi-cuts (huge props to Stuie for selling me mine). Or you can "stonehenge" your coals- stand them up on their smallest side so that less coal is in contact with the bowl. Practice makes perfect. Just follow these basic guidelines, and be sure to look at other people's advice regarding Tangiers, and you will find success. 1. Just take the coals off and come back to it later (even a day or two later), and just throw new coals on the bowl. 2. Also take the coals off when you're done, but when you come back to it, take off the foil and replace just the very top "burnt" layer of tobacco with fresh stuff. You can either re-use the same foil if you can salvage it (most likely there will be too much tobacco stuck to it), or just use a new piece. 3. 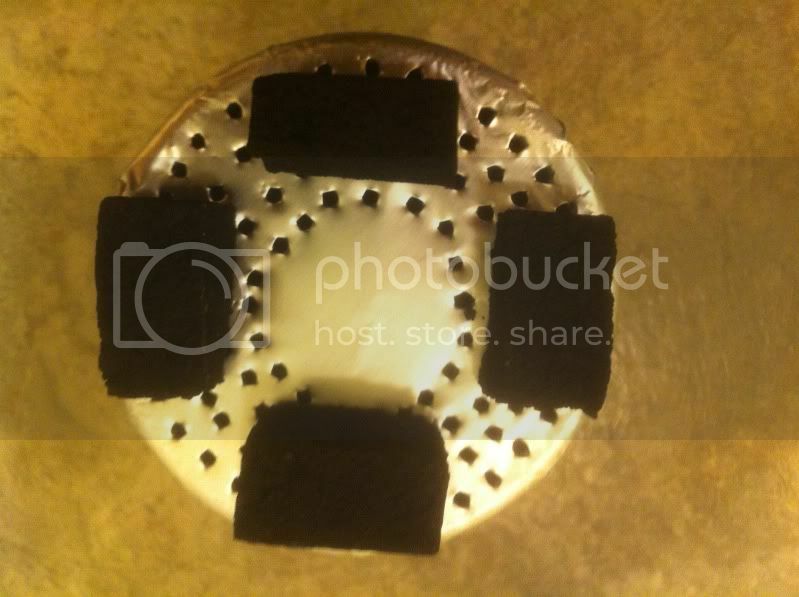 Remove the "burnt" layer and throw the rest back in the tub. It's always been okay in my experience, but Eric, the creator of Tangiers, says it's not ideal as the tub of tobacco loses flavor and whatnot this way. Number 2's method is ideal, as number 1's method you notice a significant lack in flavor. With number 2's method, it's like smoking a freshly packed bowl, but you didn't have to use near as much tobacco to do so. I used to do number two all the time, but because I am stocked with a good bit of Tangiers majority of the time, I'm not as worried about it. When my stock dwindles I'm sure I'll make good use of my bowls and use the number two method again. I stopped doing number 3 because Eric got me all paranoid about it, haha. 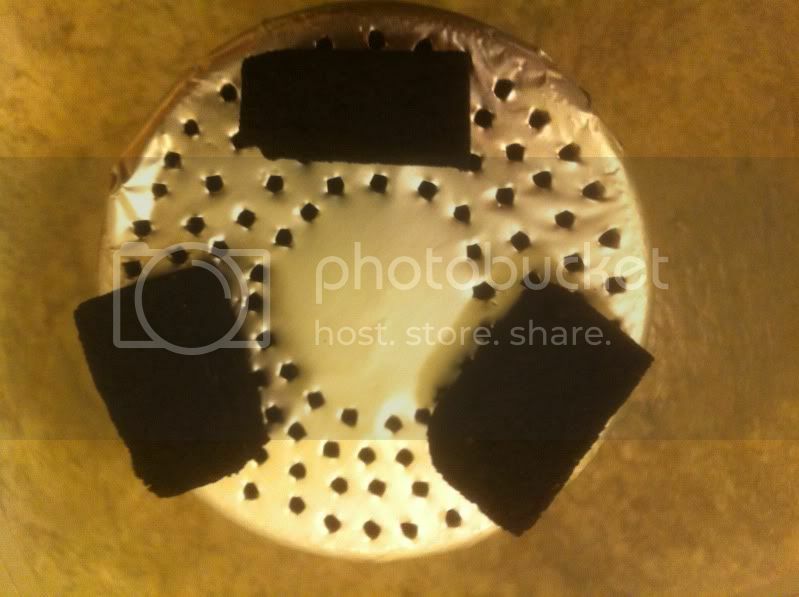 The tealight mod, method number 4, I used to do all the time when I only had a Tangiers small phunnel. Now that I own a Tangiers Mini Phunnel, I don't use it anymore. I do feel, however, that there is a subtle increase in flavor when using the tealight mod, as you're forcing the air through the tobacco instead of just passing over it. Others have told me they felt the same. Kashmir, Florals, and Mints are the easiest to acclimate typically, as they have a higher resistance to humidity shock. Fruits are usually pretty moderate when it comes to acclimating. *This guide is kept up-to-date and may be modified/updated at my discretion. But aren't you suppose to poke a hole in the middle?? Personal preference, but the person who taught me and who packs the best bowl I have ever smoked in my life does not poke holes in the center. I've had much better experience with no holes poked in the middle. I pack my bowls tight all the way to the top using an oyster fork. Then use the compression test (Place foil over the top and press down with the palm of your hand. It should have a lip about the thickness of a quarter from the top rim of the bowl) Then poke a grid using the fork. This is the way eric does it and it works great for me. i sometimes poke a hole in the center, but i really haven't noticed HUGE differences between the two. most of the time i use the method eric does, with the oyster fork, but i leave the center without holes (most of the time, but not always). i have yet to have a bad experience with tangiers other than when it wasn't acclimated enough. Interesting...I'll have to try it without the hole next time. I've always preferred holes. In fact, I love holes. Don't we all (guys). Haha. Yesss, the inverted hole method, made famous by Twoapps. Tried it a few times, worked pretty decently. Interesting...I'll have to try it without the hole next time. I've always preferred holes. In fact, I love licking assholes. Updated and moved to Discussion Group. I will be tweaking this from time to time, of course. I'm the biggest fan of number 2, as number 1's method you notice a significant lack in flavor. With number 2's method, it's like smoking a freshly packed bowl, but you didn't have to use near as much tobacco to do so. [u][i][b]I used to do number two all the time[/b][/i][/u], but because I am stocked with kilos of Tangiers, I'm not as worried about it. When my stock dwindles I'm sure I'll make use of my bowls and use the number two method again. I stopped doing number 3 because Eric got me all paranoid about it, haha. 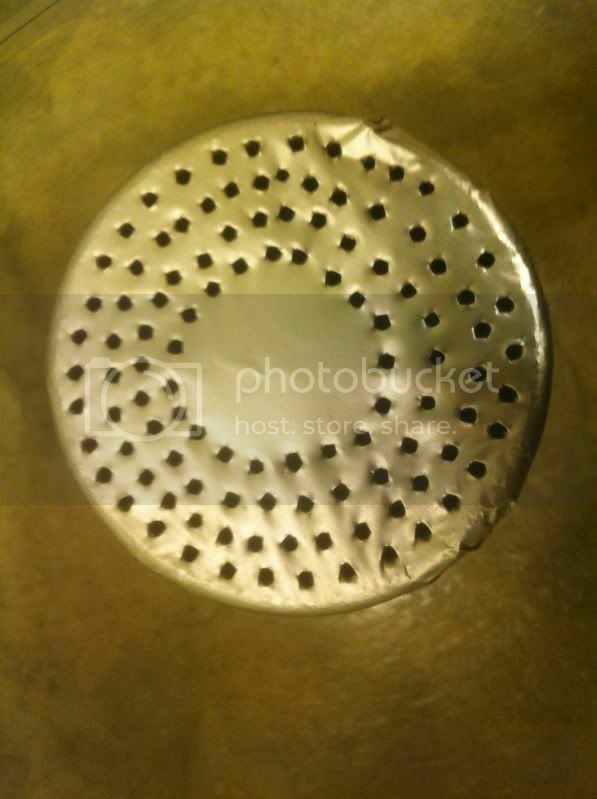 Chris, you should add some pics of your packed bowl right before putting the foil on, other than that, good post! Since I just started smoking tang this year I've been doing quite a bit of experimenting with it and still haven't gotten it exactly where I want it to be, and I always like trying other peoples methods. K. I'll try to do that today. I hope to keep improving this thread as much as possible. Wow, Chris, your tobacco sure is nice and smoothly packed in there. It looks like you used a tiny little trowel to smooth it out then checked it with a tiny level. Are all of your bowls packed like that or did you do that one extra careful for the picture? Justa quick question, is it possible to smoke tangiers out of a tangiers phunnel with a tealight mod to save more tobacco? Yes! Thanks for mentioning that... I need to add it to the list. Look in my signature for the link on how to make a tealight mod. Thanks, i already have a tealight mod made. Just wanted to know if you can smoke tangiers with the tealight mod in the bowl and it would not ruin the bowl or anything? Oh no, you'll be totally fine. I used to use the tealight mod all the time before I got my first Tangiers Mini Phunnel. Actually, I kinda think it increases the flavor of the smoke, because you're forcing all of the air to go through the tobacco instead of just over it. I have had moderate to low success getting tang to smoke right. I have started using this method, and it is FOOLPROOF. It works every time, and never burns or gets harsh. I am 3/3 on bowls now, and I have never been THIS successful. Thanks Chris!